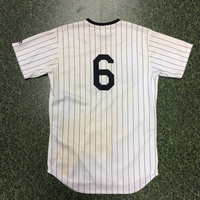 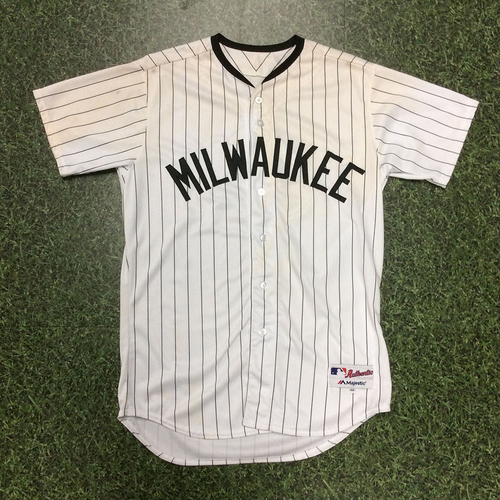 You are bidding on a Lorenzo Cain Game-Used Milwaukee Bears jersey worn during the African American Heritage Night game on August 3, 2018 versus the Colorado Rockies. Cain finished the game 0-3 with a walk, as the Brewers defeated the Rockies 5-3 on Eric Thames' walk-off, three-run homerun in the 9th inning. The Gatorade-stained jersey is authenticated with a MLB hologram sticker and is a size 46.